A gun rights activist and alleged Russian agent has reached a plea deal with federal prosecutors, according to several news outlets. 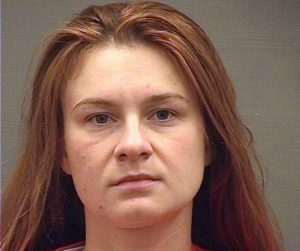 Defense attorneys and federal prosecutors indicated the case against Maria Butina is headed to a plea hearing. “The parties have resolved this matter, and the Defendant Maria Butina remains in custody,” they wrote. 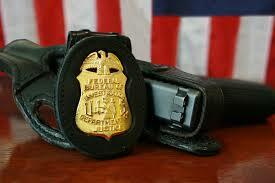 Butane was charged in July with conspiracy and acting as the agent of a federal government. Both parties requested a plea hearing this week. More details are expected to emerge from the hearing. Posted: December 10th, 2018 under News Story. An FBI agent conducting surveillance was shot in the shoulder in a drive-by in Brooklyn on Saturday afternoon. The agent underwent surgery at Kings County Hospital and was conscious and alert, New York City’s NBC affiliate reported. The agent was in the Canarsie neighborhood as part of a drug investigation when someone inside a BMW shot at the agent’s car. The agent briefly pursued the BMW before getting out of the car and firing “more than 10 times at the car. The suspected shooter, who is in custody, was shot in the hand and also underwent surgery. He was driven to the hospital by a friend. The ATF is investigating a rash of suspicious fires targeting Jehovah’s Witness worship centers in Washington State. 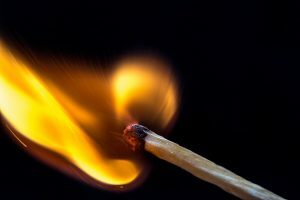 A predawn fire on Friday was the fifth suspected arson in Thurston County in the past nine months. The fire destroyed the kingdom hall, and the ATF said it was intentionally set. No arrests have been made. Surveillance video captured one person, who was wearing a hoodie and coveralls, setting fire to the side of a hall. Authorities aren’t sure if that’s the only culprit, and the motive remains elusive.